The extant US practice of separating parents from their children for the misdemeanor of being in the country illegally is a test and we know it. It is a test administered by Trump and his collaborators to see how much the people of this country will buy in to the idea of being under attack by “others.” Not the others from Norway, but those from Haiti, Central America, and other places where Black and brown families live. Clearly, this is not just about immigration. 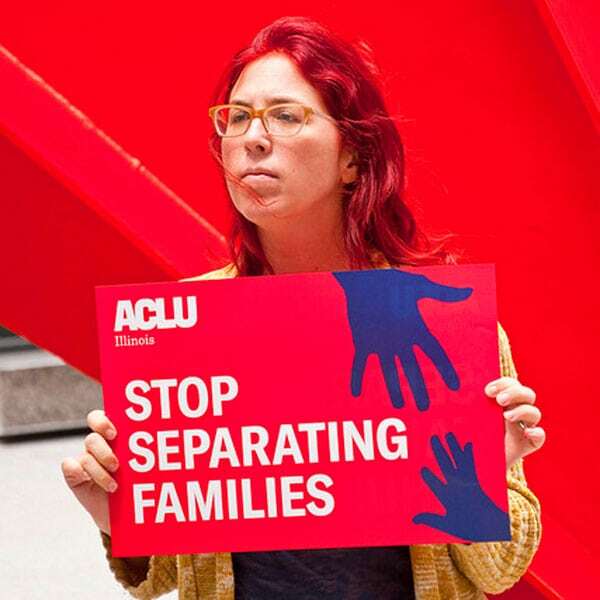 Immigration and Customs Enforcement—the agency at the DHS that handles immigrant parents—is designed to deport people as rapidly as it can, while [the Office of Refugee Resettlement, or] ORR—the office within the Department of Health and Human Services (HHS) that assumes custody of the kids—is designed to release children to sponsor or foster families in the US. Lately, ORR has been moving more slowly than usual, which has resulted in parents getting deported before their children’s cases are resolved. There’s next to no coordination between DHS and HHS. As physician experts in mental health, the American Psychiatric Association opposes any policy that separates children from their parents at the United States border. Children depend on their parents for safety and support. Any forced separation is highly stressful for children and can cause lifelong trauma, as well as an increased risk of other mental illnesses, such as depression, anxiety, and post-traumatic stress disorder (PTSD). The evidence is clear that this level of trauma also results in serious medical and health consequences for these children and their caregivers. Many families crossing the United States border are fleeing war and violence in their home countries and are already coping with the effects of stress and trauma. These children deserve our protection and should remain with their families as they seek asylum. The APA recommends an immediate halt to the policy of separating children from their parents. House Republican leaders are reworking their “compromise” immigration bill to include a provision that modifies—but doesn’t completely end—the “zero tolerance” policy being enforced now by the Trump administration. Public pushback to young children being housed separately in detention centers has put pressure on Congress to end that practice. Hurd’s response: “The way they’re trying to address family separation is by allowing (the Department of Homeland Security) to indefinitely detain families. And so they think, by indefinitely detaining families, then that’s keeping the family together. That’s not solving the problem of family separation.” He favors restoring ICE’s Family Case Management Program, where immigrants wore ankle monitors, which resulted in 95–99 percent of immigrants showing up to their court cases, and cost $36 a day per family—in addition to addressing the root causes of immigration from Central America. As the Trump administration response shifted to hunkering down, yesterday, we learned that it plans to withdraw from the United Nations Human Rights Council. Further, Trump tweeted about immigrants “infesting” our country, in his usual, carelessly dangerous, dehumanizing style. Naomi Klein’s crisis capitalism’s biggest ally is crisis governance. Immigrants who enter the country without approval, fleeing the frontlines of the many postmodern disasters, are people trying to survive in inhospitable times. They are family, friends, neighbors. The real crises are labor insecurity and economic precarity, unengaging and ineffective governance, the hardening of the heart. The “immigration crisis” is constructed. The real crisis is a crisis of humanity. While the blowback from “the people”—those of us who don’t see living with people who may be considered different as a crisis—has been unequivocal, what this moment also highlights is that there is no process for how to deal with a leader who is unabashedly playing outside the rules, not just of democracy, but of morality. As we in civil society—nonprofits and social movements—find ourselves overwhelmed by crises as the new norm, we must learn how to take full advantage of these disruptive events to shift the course of history towards justice and interdependence. This is our learning curve. Wages and caseloads matter deeply to the quality of direct care, and that’s why nonprofits must advocate for policies that ensure worker fairness.